It is currently unclear whether our classifications for T helper cell subtypes truly define stable lineages or rather they represent cells with a more flexible phenotype. This distinction is important for predicting the behavior of T helper cells during normal immune responses as well as in pathogenic conditions. 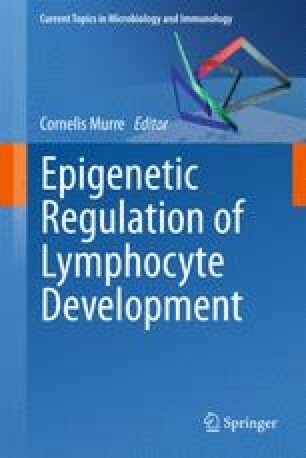 Determining the mechanisms by which T helper cell lineage-defining transcription factors are expressed and subsequently regulate epigenetic and downstream gene regulatory events will provide insight into this complex question. Importantly, lineage-defining transcription factors that regulate epigenetic events have the potential to redefine the fate of the cell when they are expressed. In contrast, factors that regulate the events downstream of a permissive epigenetic environment will only have the capacity to modulate the underlying gene expression profile that is already established in that cell. Finally, mechanisms related to the antagonism versus cooperation between the lineage-defining factors for opposing T helper cell subsets will influence the characteristics of the cell. Here, we provide an overview of these topics by discussing epigenetic states in T helper cell subtypes as well as the mechanisms by which lineage-defining factors, such as T-bet, regulate gene expression profiles at both the epigenetic and general transcription level. We also examine some of what is known about the interplay between the T helper cell lineage-defining transcription factors T-bet, GATA3, Foxp3, Rorγt, and Bcl-6 and how this relates to the proper functioning of T helper cell subsets. Defining the mechanisms by which these factors regulate gene expression profiles will aid in our ability to predict the functional capabilities of T helper cell subsets. We thank members of the Weinmann lab for helpful discussions. The research performed in the authors’ lab is supported by grants from the NIAID (AI061061) and (AI07272-061A) and the American Cancer Society (RSG-09-045-01-DDC).